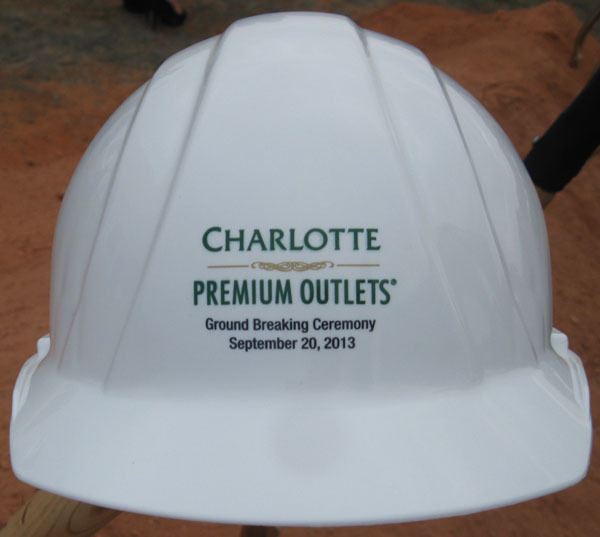 (September 20, 2013) Tanger Outlets of Greensboro and Simon Property Group of Indianapolis held the groundbreaking ceremony today for Charlotte Premium Outlets, their joint venture shopping mall off Steele Creek Road at I-485. When completed next summer, the mall will be home to more than 90 upscale brand name and designer outlet stores and will provide 800 permanent and part time jobs. It is expected to generate $140 million a year in sales as well as $10 million a year in sales taxes. 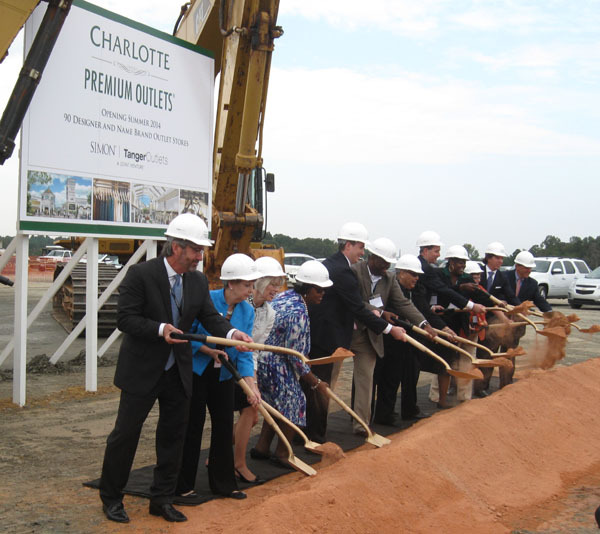 The mall is expected to contribute significantly to Charlotte's tourism industry. 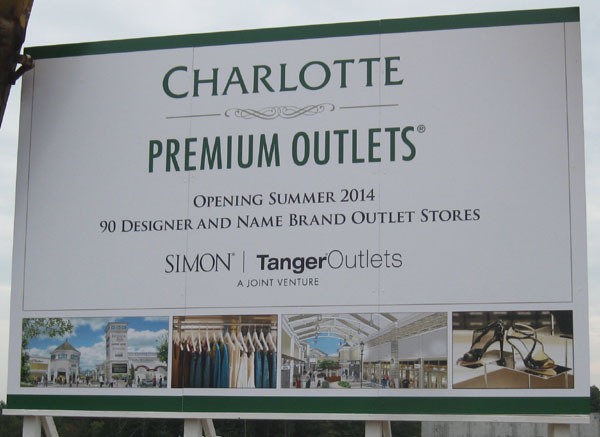 Tanger and Simon executives could not give a definitive date for the mall opening but expected to be back in late summer 2014 for the ribbon cutting ceremony. Original plans called for building 350,000 square feet of the mall in an initial phase and adding a second phase later to bring the size of the mall up to 400,000 square feet. However, demand by retailers has been so great that the entire mall is being built now. This appears to be a good indicator that retailers have confidence in the future success of the mall. Most retailers are reluctant to reveal their plans too early, so don't expect too many announcements about what stores will be in the mall before next spring. Although ground was officially broken today, construction has already been going on for a week or so, and walls are already up on the south end of the mall. 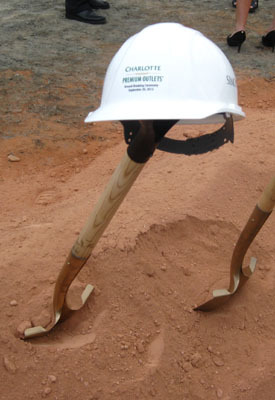 The mall will generate at least 300 construction jobs, with a many as 700 people working on the site as the opening approaches. I-485. Passing motorists will easily be able to monitor change on the site as construction advances towards the opening next summer. In addition to the mall. a hotel, several restaurants, and other retail and office buildings along Dixie River Road are part of the overall development. Although some restaurants may be open by the time the mall opens, most of the additional development will be completed later.